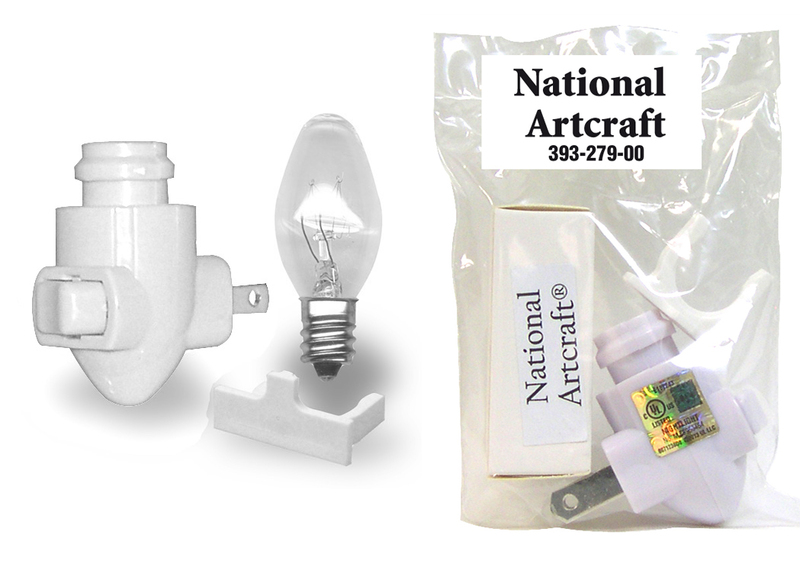 Night Lights, Night Light Kits & Night Light Shade Mounting Clips for Ceramics, Glass and Other Crafters. Use Quick Grab or E-6000 to attach objects to PLASTIC Shade Mounting Clips. Wash Clip in dishwashing detergent & warm water to remove any mold release residue. 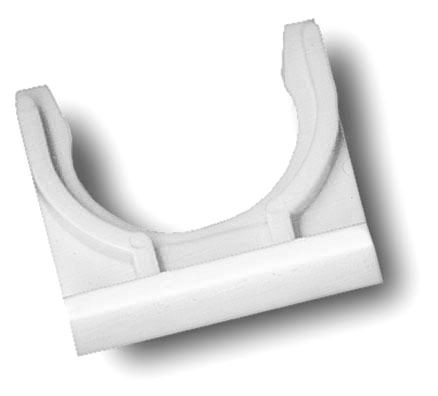 Dry, then roughen mounting surface of Clip to improve adhesion. 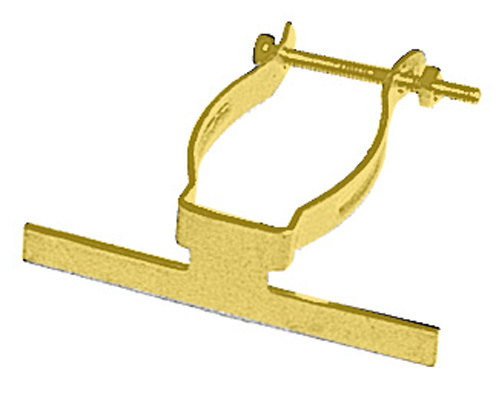 BRASS SHADE MOUNTING CLIP: Use Quick Grip Adhesive on GLASS Shades for Superior Adhesion. 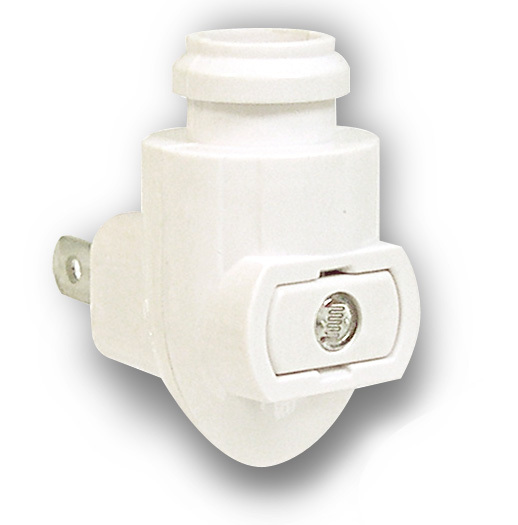 (F) Night Light Clip-On Shade Mounting Bracket For "E"
NIGHT LIGHT with Rocker Type ON-OFF SWITCH. IVORY. Two-prong plug is polarized on left side. Bulb and Shade Mounting Bracket NOT Included. 1-7/8"H x 1-1/8"W. U.L./C.S.A. Listed. 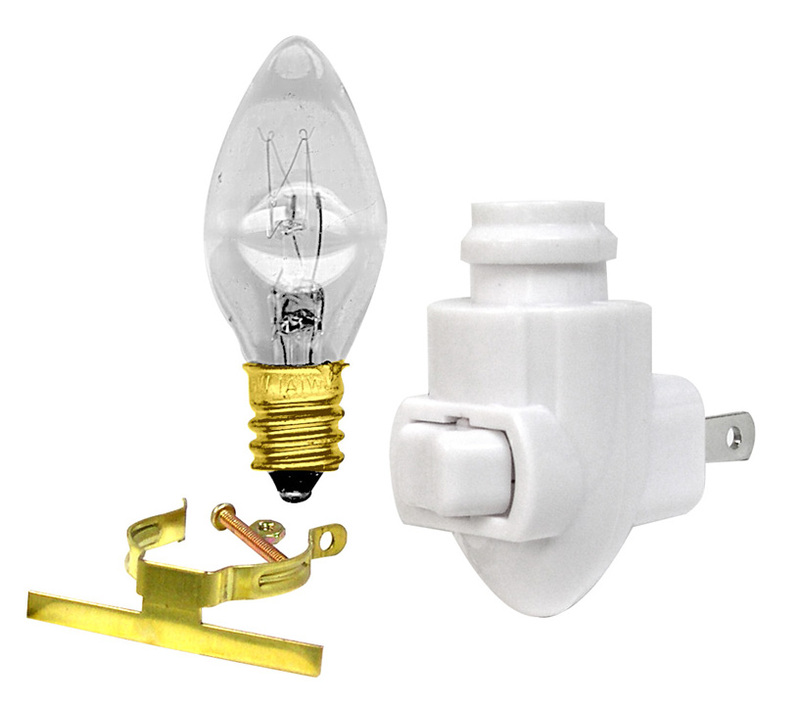 NIGHT LIGHT with Rocker Type ON-OFF SWITCH. WHITE. Two-prong plug is polarized on left side. Bulb and Shade Bracket NOT Included. 1-7/8"H x 1-1/8"W. U.L./C.S.A. Listed. DUSK-TO-DAWN NIGHT LIGHT. Light Ivory Plastic. Turns On in the Dark & Off in the Light. Two-prong design is polarized on left side. 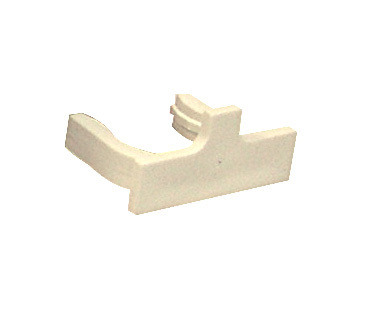 1-7/8"H x 1-1/8" W. Takes Shade Bracket "B". Bulb NOT Included. U.L./C.S.A. Listed. LIGHT SENSITIVE NIGHT LIGHT. White Plastic. Turns On in the Dark & Off in the Light. Two prong design is polarized on left side. 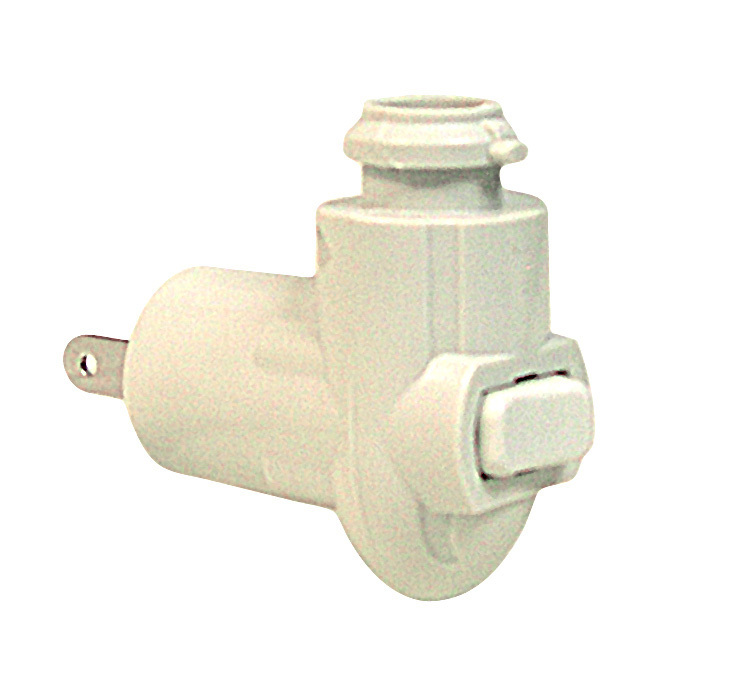 1-3/4"H x 1"W. USE ONLY with Mounting Bracket "F" 140-724-05. Bulb NOT Included. U.L./C.S.A. Listed. 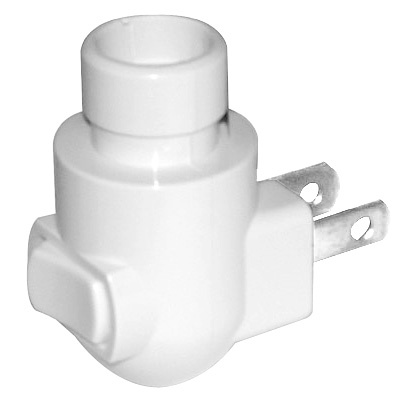 Night Light with Rotating 2-Prong Polarized Plug. Extra-deep design with rocker style on/off switch. Meas. 2-7/16"H x 1-1/4"W x 2-5/16"D. U.L. CSA listed. Max. 7 Watts. Color: Fog. 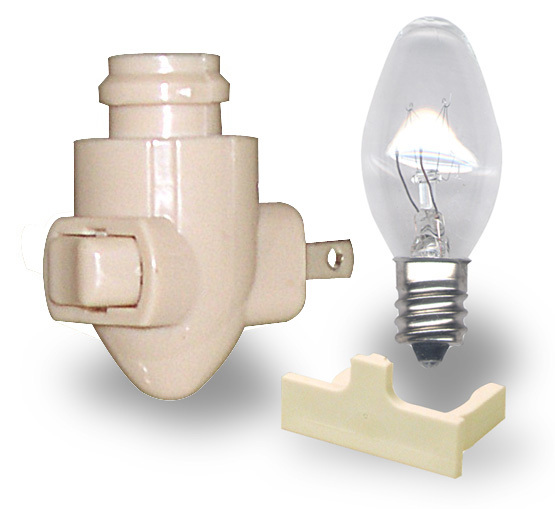 NOTE: Only 393-255-04 Brass Mounting Bracket fits this night light. 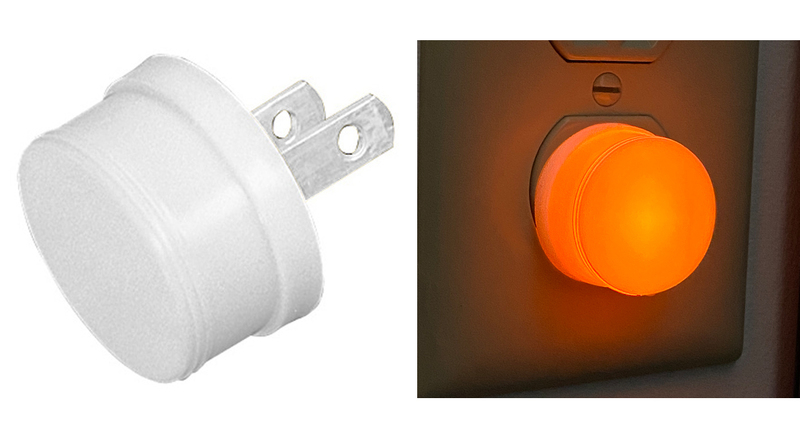 ECONOMICAL 1/3 WATT NIGHT LIGHT Has Built-In Bulb with Soft Orange Glow. White Plastic Body has Flat Decorating Surface. 1-1/4" diameter x 11/16"D. U.L. Listed. 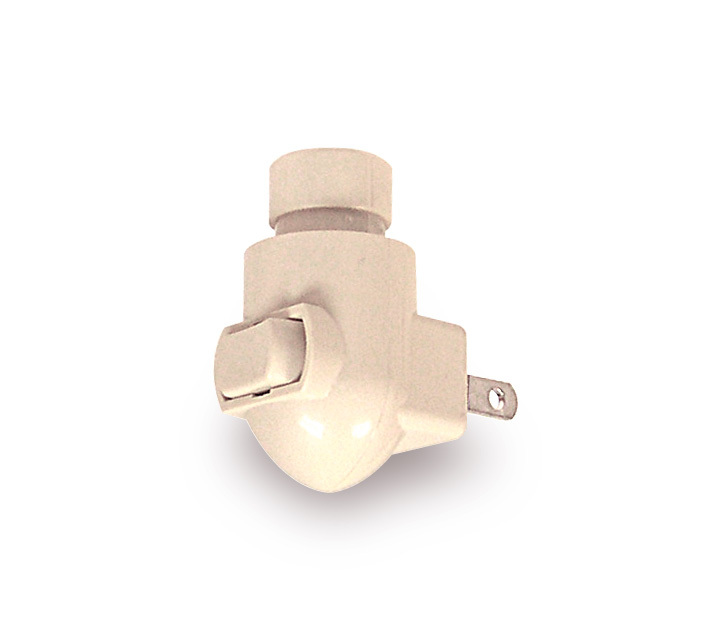 BRASS NIGHT LIGHT SHADE BRACKET with Screw for Securing to Neck of Night Light. Has 1-1/2" x 1/8" Mounting Area. 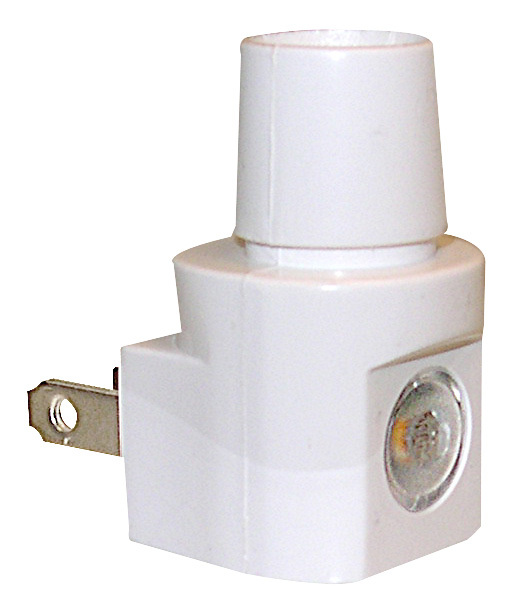 BRACKET fits All Night Lights except E & H. Recommended for Use with GLASS Shades.